Jordan, or as it’s officially known, the Hashemite Kingdom of Jordan, is a metal detector’s treasure cove. Neighboured by Syria, Iraq and Saudi Arabia, this biblical country is seeping with remnants of ancient civilizations and artefacts. Traditionally inhabited largely by the Bedouin people, much of its landscape is arid desert and so suited my metal detecting exploits perfectly well. In biblical times, Jordan contained the lands of Edom, Moab, Ammon and Bashon. The 5,000 year old, Kings Highway, which was thought to have been first mentioned by Moses as he led his people through to the ‘Land of Edom’, winds its way along 207 miles through different ancient cities of Jordan, including the edge of the eastern desert. 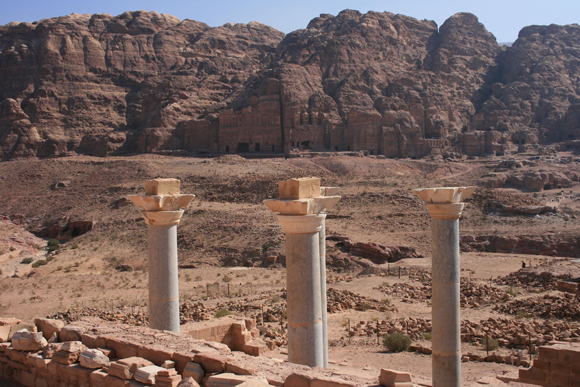 Then you have Petra, three hours south of the capital city, Amman famed for it’s ancient temples and tombs. The city is legacy of the industrious Arab, Nabateens, who settled more than 2,000 years ago, but Jordan is still to this day inhabited by those who haven’t deviated from their semi-nomadic lifestyles. For instance, the Bedouin people of Wadi Rum, in the south of Jordan, with its magnificent, vast landscapes and crimson rockscapes. Jordan is just a stunning country, and yes, I’m afraid the child in me did run up a large sand dune before stopping to take a photograph of my intruding footsteps on the flawless dune side. Need I say, I couldn’t resist it. I came face to face with scorpions and snakes, and when night dropped, which happens so fast over there, I saw lots of those massive-eared desert foxes that are very much smaller than ours. I also saw plenty of camels, one cannot visit a desert without encountering one or two, some are still wild and for a few pence Bedouins will let you clamber on a tamer camel as its gets up, and your friends can take photos of you looking uncomfortably like the proverbial sack of potatoes. Overall, an exquisite country whose shifting sands and desolate areas allow one to achieve true piece of mind, so long as one is getting signals that is. Anyway as before, I hope you all enjoy these images of my Jordan adventure and tell us what you make of my finds on the Joan Allen Facebook page. 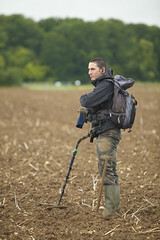 Where would be your ideal historical location to do some metal detecting? What do you think of Jordan? Let us know and comment below and head on over to our Joan Allen Facebook page to share your thoughts.